Gary Johnson ‘aka Driver’, from Broughton in Lincolnshire, began his motorcycle career in motocross and switched to tarmac in 2004. He made an immediate impact finishing 2nd in the 600 class at the MRO Championship, then in 2005 winning the British Supersport Cup in 2005. Gary made his debut in the road racing world at the North West 200 in 2007 finishing in 10th place, then started his career at the Isle of Man TT later that year finishing consistently amongst the top 20. Later at the Ulster Grand Prix in 2007, he set the second fastest lap every recorded by a newcomer. His impressive collection includes 2 Isle of Man TT wins plus 4 podium finishes, 4 North West 200 podiums, 11 top 10 finishes at the Ulster Grand Prix and 8 Macau Grand Prix top 10 finishes. Gary Johnson’s fastest lap at the Isle of Man TT was set at 130.945mph. At the Ulster Grand Prix his fastest lap was 133.129mph, making him one of the fastest road racers. His best time at the Macau GP makes him the 9th fastest racer at 93.84mph. A determined, consistent and super smooth racer, 2018 looks set to be a fantastic year. 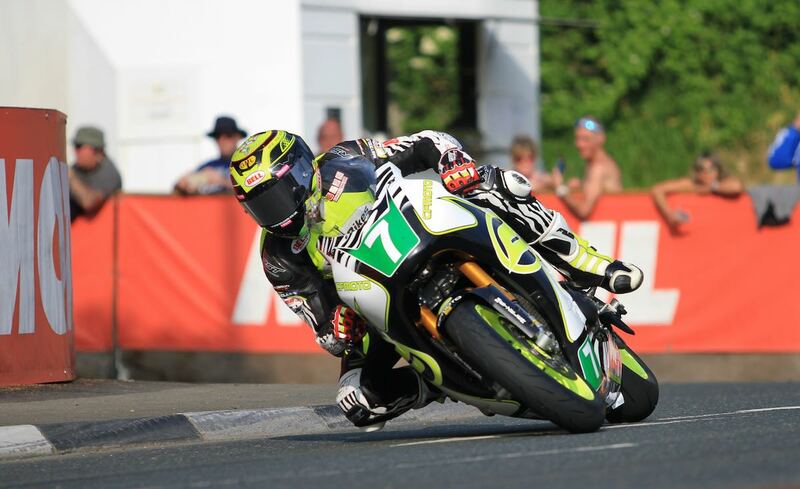 Gary will tackle the North West 200 and Isle of Man TT again this year aboard leading British Superbike Championship team RAF Regular and Reserve Kawasaki with Lee Hardy Racing on the ZX10RR Kawasaki and Triumph 675. Gary Johnson will be on the CFMOTO stand (no. 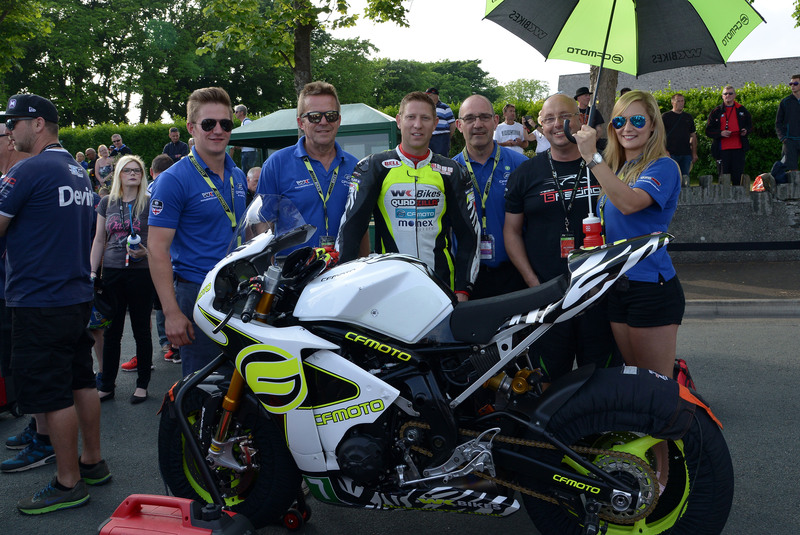 B22) at the Carole Nash Irish Motorcycle & Scooter Show representing the team, after finishing 4th in the Lightweight class on the CFMOTO 650 bike at the Isle of Man TT in 2016 (just 2 seconds off the podium). Gary aka Driver’s favourite circuits include the Isle of Man TT and the North West 200.